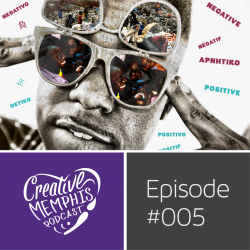 Marco Pavé comes onto the podcast for in depth conversations about Memphis issues involving poverty, change, racism, social preservation, Gil Scott, and Churches+Beer. Born and raised in North Memphis where his life was affected by the culture and city around him Marco is responding in his own way towards the standards of Memphis today. Chasing his dreams and practicing for years on end have lead him to the current precipice where he’s working hard to make something for himself in the city he loves. Marco Pavé – leading the new wave in Memphis Hip Hop. 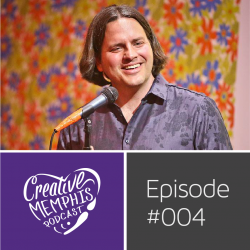 Josh Campbell, Storyteller of Spillit Memphis talks about his history and growth towards storytelling, Memphis cultural growth, Memphis history, and the unnecessary divide between East Memphis and Midtown. You’ll also get to hear about his controversial view on This American Life *gasp*. Spillit is true, unscripted stories told in front of a live audience in Memphis, Tennessee. Spillit events are held quarterly and each event has a theme. Stories last ten minutes and must have a beginning, a middle, an end, and some sort of moral to tie it together. Some are hilarious, others contemplative, heartbreaking, suspenseful, and some reflective. Anyone can tell a story! Themes are announced months in advance.